El Burro Geisha Natural Tachi micro lot received a 95 from Kenneth Davids, CoffeeReview.com, December 2015. 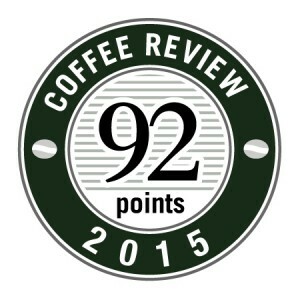 Sumatra Organic Aceh Ketiara received a 92 from Kenneth Davids, CoffeeReview.com, April 2015. Gratitude Special Blend received a 94 from Kenneth Davids, CoffeeReview.com, December 2014. 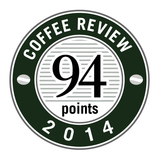 Mama Cata Natural Geisha received a 95 from Kenneth Davids, CoffeeReview.com, November 2014. 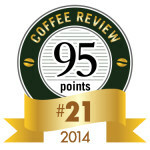 It also received 21st place for Top 30 Coffee of 2014. El Burro Estate received a 94 from Kenneth Davids, CoffeeReview.com, Sept. 2009. 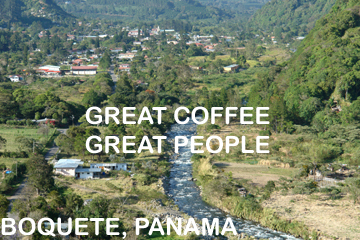 Elida Estate Peaberry Natural received a 93 from Kenneth Davids, CoffeeReview.com, Sept. 2009. Ethiopian Yirgacheffe Natural, Idido Misty Valley For the want who loves surprisingly good coffee. This is an Excellent coffee. Well rounded flavor, medium bod ..